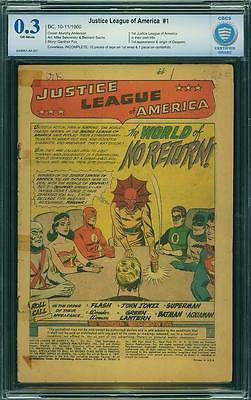 BRAVE AND BOLD 28 COVERLESS PLUS JUSTICE LEAGUE ISSUE 1 BOTH COVERLESS BUT AFFORDABLE--- PRICED CHEAP !!! MESSAGE ME WITH OFFERS! AND WITH ALL THE MARVEL MOVIES THESE ARE GOING UP IN VALUE! AND WILL GO UP IN VALUE - MESSAGE ME WITH OFFERS! SLAB IS MINT! MESSAGE ME WITH OFFERS - Affordable price at this grade level. looks GREAT!!! CHECK OUT THE SCAN! WITH ALL THE COMICS MOVIES THIS YEAR COMICS ARE GOING UP IN VALUE! I will list this at the cheapest price of any on ebay - it will get pricier over the next months. Priority Shipping will be $15.00 in a BOX including tracking. I ship all CGC graded books in boxes with tracking. I am Paypal certified so bid with confidence! I have great feedback. - thanks PLEASE CHECK OUT MY OTHER HIGH GRADE LISTINGS - MANY CGC BOOKS! ALWAYS WILLING TO CONSIDER REASONABLE OFFERS. Shipping globally is available - Canada is $35 and anywhere else is $45 - registered mail. i'M TRAVELLING THIS WEEK BUT WILL SHIP AS SOON AS BACK!